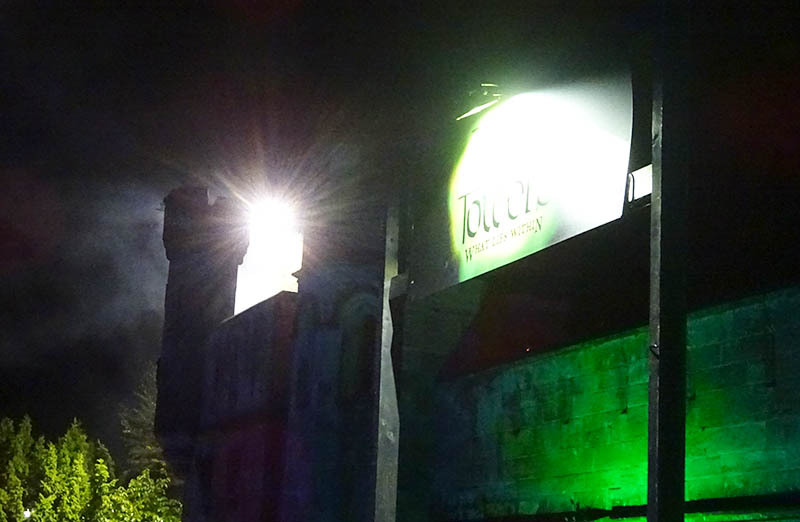 Terror of the Towers was Scarefest's signature scare maze and was part of the event since it's earliest days. The maze took place in the Towers ruins themselves, giving a genuinely spooky backdrop to What Lies Within. The storyline revolved around two urban explorers who entered the Towers to discover the truth behind rumours of Vampires living inside. They never returned. Guests took on the role of a team sent in to find out what happened to the explorers, and uncovered the secrets hidden behind the stone walls. Terror of the Towers' storyline and route through the building changed over time. The final "What Lies Within" story was the same for several years prior to the maze's retirement, although the maze was rerouted and shortened a couple of years prior to closure to make room for Sub Species: The End Games. Up until 2016, guests explored Terror of the Towers in groups holding onto the shoulders of the person in front. This rule was changed in 2017, removing the requirement to hold on and changing it into a freeflow style scare maze. Strangely, this made the maze feel less scary - no longer were you forced to go at the pace of the rest of the group, whether that is creeping achingly slowly past a bloodied actor or being pulled too fast down a set of stairs.